As we approach this New Year of 2014 and beyond, we’d like to acknowledge that this is an extraordinary time for us to focus on “Projecting Intention”. As we intend, so we create. It is that simple and that important. It is our hope that this information on “Projecting Intention” will assist you in creating a healthier, happier and more harmonious New Year. In addition, please remember that on February 14, 2014, we have the 12th annual World Sound Healing Day—a time when we project intentionalized sound for Global Harmonization; creating peace and harmony on our planet. We trust this material on “Projecting Intention” will be of assistance in the New Year and beyond! When I first began working with sound and music for healing, I understood that everything was based upon frequency. As the Hermetic Principles tell us, the universe is nothing, more or less, than an endless number of vibrations and rhythms. Yet, as I began to pursue and study this work more, I began to notice another interesting phenomenon. Sometimes different people apparently used different frequencies or different sounds to heal the same problem. ‘How could this be?’ I wondered, unless there was something else besides the frequency. There must have been something equally important in sound that I had been ignoring. It was my friend and fellow colleague Steven Halpern, PhD, who first brought my attention to the missing area in question. ‘Sound is a carrier wave of consciousness,’ Steven said. This means that depending upon where an individual’s awareness is placed when he creates a certain sound, the sound will carry information on that state to the person receiving it. If, for example, you are angry and you create a sound, even though it may be a pleasant sound, you will be sending anger that is incorporated into that sound. This will be perceived on some subtle level by those receiving the sound. I like to think of this as the intent or purpose behind the sound. With this word ‘intent’, we are really talking about the consciousness of the sound being created. This encompasses the overall state of the person making the sound and involves the physical, mental, emotional and spiritual aspects of that person. The initial understanding of intention involves our conscious mind. Is the conscious intent of the sound to heal or to hurt, or is there no specific intent or purpose there at all? A more advanced understanding of intent involves what may be understood as alignment with the purpose of our higher selves, or the ‘Divine Will’. It is that aspect of consciousness that is able to align with the sacred energy of sound. It is ‘Thy will’, not ‘my will’. When we have reached this level, our intent is to become a vehicle for sacred sound and we are able to by-pass the lesser aspects of self which may be out of balance. For many people, the initial understanding of intent is a major stepping stone in using sound as a transformative and therapeutic tool, for most of us have never created sound with conscious awareness and purpose. Once I began to bring the concept of intent into the area of healing with sound, answers appeared for me. The concept of intent relates to the Hermetic Principle that all is mind, for intent stems from the mind of the creator of sound. All is vibration and rhythm, but what is the intent behind the energy? Dr. John Diamond, MD, worked for years with behavioral kinesiology, a method of muscle testing. With kinesiology you would test a person to determine if his muscle was strengthened or weakened by an external force or stimulus. For example, when someone held a cigarette and you pressed their arm down, their arm would be much weaker than before they held the cigarette. Cigarettes, among many other things, tend to rob us of our life energy. Dr Diamond spent many years demonstrating that not only would certain substances make us strong or weak, but that music could do the same thing. The main aspect of what made the music positive and strengthening or negative and weakening depended upon the intention of the person creating the music. An example of this was demonstrated when I listened to a classical piece performed by an orchestra with a well-known conductor. While I listened to this piece of music, I had my muscle tested for strength or weakness. I was also asked just to observe my respiration and my heart beat: both of these were slow; I was breathing deeply and regularly. Then I listened to the same piece of classical music performed by the same orchestra with a different conductor. The music went on and before I was muscle tested, I was again asked to observe my heartbeat and respiration. Much to my amazement, I found that I was breathing shallowly and that my pulse was faster. When I was muscle tested, I tested weakly. What was different? It was the same piece of music with the same orchestra! How could such a dramatic change have taken place within me? The answer lay with the conductor. The first conductor was a man who was loved and revered by the classical community. He really seemed to be in touch with the flow of music that was being created and acted as a conduit for the music. His music made me strong. The second conductor was a very strict and regimented man who created fear in those with whom he worked. His music always had to be perfect. His reputation and his ego were committed every time he picked up the baton. His music made me weak. Here was a perfect example of intention creating the difference in the effect of the music. The sound had been the same and yet the influence it had had upon me was very different. The major focus in this book is upon the human voice. There are two reasons for this. First, the human voice is the most accessible of instruments. 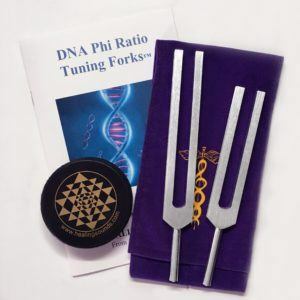 We do not have to go out and buy a piece of scientific machinery or a musical instrument in order to experience harmonics. Second, the easiest instrument through which intention can be focused and channeled is the human voice. It is a bit more difficult to pick up an instrument and project your intent. It is more difficult to turn on a machine and project your intention, especially if the machine is designed for healing and all you have to do is turn it on and leave the room. It means that the intention of the person working with the sound is as important as the frequency which is being projected at a person to create resonant frequency healing. Since the concept of intention is, at present, a scientifically immeasurable quality, it is extremely difficult for many in the medical community to understand it. Nevertheless, I am convinced that this formula is correct and that without the aspect of intention, working with pure frequency alone is not the answer. This is another reason why I have been working more closely with the human voice. When we have learned techniques for harmonic toning, the human voice is able to create nearly every frequency, at least within the bandwidth of audible hearing. Due to the Principle of Correspondence, these sounds can potentially relate to any vibrating object. We therefore have the resonance and entrainment aspects of sound within our own capacity. Try this for yourself. Take a little phrase such as ‘I really like you’ and project different qualities on to this. For example, say ‘I really like you’ and imagine saying this to a loved one such as a parent, a child, a brother or a good friend whom you haven’t seen in a long time. Close your eyes and see this person and say ‘I really like you’ to them. Now imagine that you are with a person whom you find sexually attractive. It may be a husband, wife, boy or girl friend. Whoever it is, imagine your attraction to this person and then say ‘I really like you’ and perceive the difference in the way you felt it from the first time you said it. Now imagine that you are with a person who is a dreaded enemy. This is someone you really don’t like and really can’t stand to be with. Now close your eyes and feel the disharmony in the situation and now say ‘I really like you’ to this imagined person. It may sound very different or it may sound very similar. But the energy behind this ‘I really like you’ is certainly different from the other two. Even if you use the exact tone of voice with all three ‘I really like you’s, do you think the different people receiving these sounds would be able to perceive the differences in intention in them? They are the same words (the same frequency) but with the different intentions they will affect us very, very differently. We can learn to use our voices for positive means or we can create the opposite effect. The human voice seems to be the most potent creator of sound frequencies that can be coupled with intention. This formula developed through an examination of the creation myths from many different traditions. 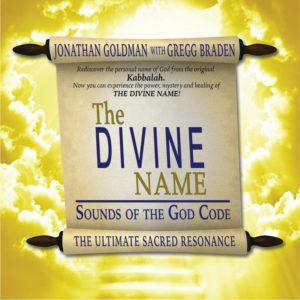 In many of these myths, the creator God would manifest the world and all its objects through sound. This God would visualize or first think of the object to create, placing intention upon this. Then the God would vocalize the sound for the object, creating its frequency and bringing it into being. The Hopi legends tell of the Spider Woman who sang the song of creation over the inanimate forms on the earth and brought them to life. And from Popul Vuh in the Mayan tradition, the first real men are given life by the soul power of the voice. Through the principles related in this writing, we can understand how the voice may be used to heal and transform. We can embody the mystical and sacred power of sound and rediscover our own innate ability to use our voices as extraordinary instruments of health and well-being…. The importance of ‘intention’ has been stressed in various chapters throughout this book. Intention is the energy behind the sound being created. It is the consciousness we have when we are making a sound. 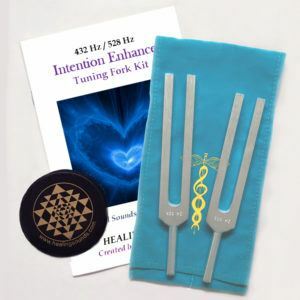 While intention seems to be a very ethereal concept and certainly difficult to quantify, I have little doubt that as we become more aware of the power of sound to heal and transform, intention will become an aspect of sound that receives much more attention. The human voice is able to focus and project energy of intention during sound-making better than any other instrument. Some scientific machinery may be geared towards projecting the specific frequencies of an organ to that organ. However, it is easy enough for the applier of these sounds to be using such instruments on someone while daydreaming of a time at the beach or something else. When we use our voice ourselves or on someone else, we immediately focus on the present moment in order to create a healing situation. We come in the now and our intention is similarly focused. We can easily understand this concept of intention in relationship to the human voice by thinking of the ability of singers to affect us. We can listen to a vocalist with an extraordinarily excellent voice (a voice whose frequencies correct) and yet be perfectly bored. We may hear this excellent voice, but something is missing and the sound does not affect us. Yet, we can listen to a singer whose voice is craggy and perhaps critically defined as poor and be moved tears by their sounds. The difference in the ability of these two singers to affect is certainly not in the frequencies they are projecting. It must lie, therefore, in the intention they have in creating their sounds. We may find as we continue this investigation into the therapeutic effects of sound that intention is of equal, if not greater, importance than the actual sound being created. Where is intention created? It is created in our minds and our hearts before we make a sound. It can be an imaging or a visualization that we focus upon, which we project upon the sound when we make it. When is the intention created? It is usually created during the breath we take before we make the sound. In particular, it seems to be most effective at the stillpoint that occurs when the breath is already in our lungs waiting to be released. This stillpoint between the in-breath and the out-breath (in our case, the sound) is believed by many to be the time during the cycle of the breath when the human body is locked in resonance with itself. Scientist Itzhak Bentov, among others, believes that during this time, the body creates a wave form that operates at about 7.8 cycles per second. This is a frequencywhich is believed to be the resonant frequency of the Earth and that during this time, we are, however briefly, also locked in resonance with the energy of the Earth. For a moment, take a breath, hold it and then release it. See if you feel this stillpoint. The breath is the key to all sounds that we create using our own voice. Without our breath there is no sound. Breath is the essence of life, for without our breath, we would have no life. In many different traditions, the life energy inherent in breath is considered sacred. This energy is called ‘prana’ in the Hindu traditions. In Orient, it is called ‘chi’ or ‘ki’. The Hebrew word for breath is ‘ruach’ which is the same as the Hebrew word for ‘spirit. Please note that while this stillpoint may be considered by some to be the most ideal point at which to project intention onto sound, it is by no means the only place where this may be done. If, during your projection of intention you find yourself becoming too concerned with focusing intention only upon the stillpoint—to the degree that this becomes a distraction with regard to generating the energy of intention—it is suggested that you work with focusing intention in a manner that feels comfortable and natural to you. In this writing are only suggestions –one does not want to get locked in or fixed in the belief that “this is the only way”. There are many different ways of working with intent…. There is one addition to the projection of sound upon intent this is very helpful when done either individually or in a group setting. When making the sounds, imagine that there is a beam of energy coming from your heart, your throat and your third eye. Imagine this energy coming out of your centers and meeting at the point of a triangle that is the beam of sacred sound. From your heart is coming Divine Love, from your throat is coming Divine Sound and from your third eye is coming Divine Wisdom as you make the sound. This visualization will enhance the sacred sound and make this work with projecting sacred sound even more effective.